Nissan; Japanese third largest automobile manufacturer launched semi-luxury mini MPV (multi-purpose vehicle) in 2004. 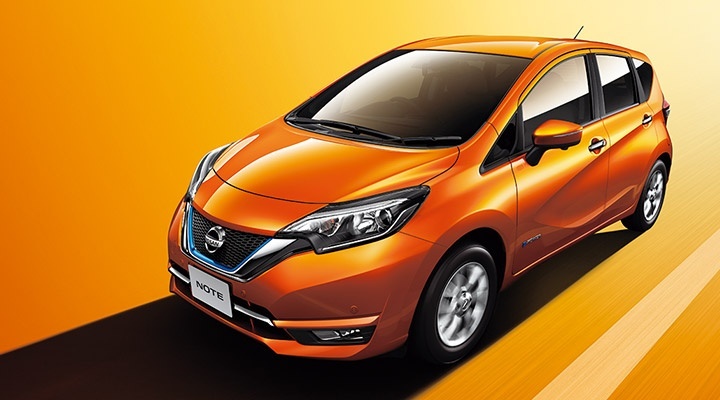 This front-engine, the 4-wheel hatchback was named as “Nissan Note”. It had the option of an intelligent key and proximity sensor. Its exterior was designed to inspire the elite class. Colour selection for the interior was also very unique for this MPV. Nissan painted its interior with grey to give it an inspirational look. The first generation of Nissan note remained in the market from 2004-2013; it was a fusion concept car as it borrowed boomerang rear LED lights from “Nissan Qashqai” and unique 4-slot grill from “Nissan Murano”. The European model was unveiled in 2005 at Frankfurt motor show and prevailed in the European market for a long time. The second generation of Nissan Note was presented in the market, 3 years back in 2012 after the marvellous success of its first generation. This was built on V-platform. It was designed to sell along-side “Nissan Micra” and “Nissan Juke”. Its predecessors are Nissan Tiida (Japan), Nissan Versa (US), Nissan Livian (Asia) and Nissan Almira(EU). It has 5-speed manual transmission. Its engine is 1.2L for Japan and 1.5-1.6L for US and EU models. If you are interested in buying Note for you so you can check Car Junctions stock. We are the oldest Japanese used car dealer and we have huge stock available. You can connect to our online customer service representatives they are available 24/7 to assist you in the process of buying a suitable car for you.